The Sacrament – What Can Its Etymology Teach You? What is the sacrament? We partake of it every week, but why? In my quest to further my sacramental understanding, I decided to study the sacrament’s components. And I started by looking at the word itself. From Latin: sacer (sacred) to sacrare (to hallow) to sacramentum (solemn oath) combined with the Greek’s musterion (mystery) became sacrement in Old French and finally sacrament in Middle English. Sacred, to hallow, solemn oath, mystery. I reviewed definitions in Webster’s 1828 Dictionary. One reason I used the 1828 dictionary as a resource is because it’s representative of language understanding during Joseph Smith’s lifetime. What definitions of “sacred” stand out to you as you worship the Lord through the sacrament? What is “consecrated to God and his service?” Are the sacramental emblems consecrated? Is the Savior who we worship during the sacrament consecrated? 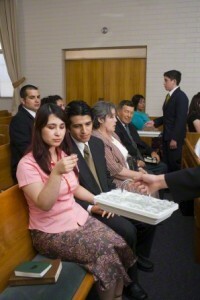 Are those who bless and pass the sacrament consecrated? Is my participation in the sacrament consecrated to God and His purpose? Am I/should I become consecrated? What is consecration, anyway? What are its implications? How does the sacrament consecrate? As I read “proceeding from God,” my mind flew to Doctrine and Covenants 88:11-13. Just as light/truth fills the immensity of space, the sacramental emblems proceed from God to fill my microcosmic universe. “Sacrament” derives also from “sacrare,” meaning to hallow. 1. To make holy; to consecrate; to set apart for holy or religious use. 2. To devote to holy or religious exercises; to treat as sacred. 3. To reverence; to honor as sacred. To make holy, to consecrate, set apart. I often think of my role in becoming consecrated or revering things as holy. But Psalms reminded me that the Lord actively makes holy, consecrates, and sets apart, too. 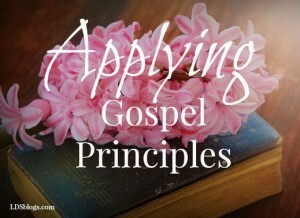 One of the most important points of performing ordinances is to become holy, consecrated, set apart through the baptism of fire and receiving the more sure word of prophecy. 1. Anniversary; observed once a year with religious ceremonies. The worship of this image was advanced and a solemn supplication observed every year. 2. Religiously grave; marked with pomp and sanctity; attended with religious rites. His holy rites and solemn feasts profan’d. 4. Affectiong with seriousness; impressing or adapted to impress seriousness, gravity or reverence; sober; serious. There reign’d a solemnsilence over all. To ‘swage with solemn touches troubled thoughts. A solemn affirmation or declaration, made with an appeal to God for the truth of what is affirmed. The appeal to God in an oath implies that the person imprecates his vengeance and renounces his favor if the declaration is false, or if the declaration is a promise, the person invokes the vengeance of God if he should fail to fulfill it. A false oath is called perjury. When I think of the binding nature of oaths, Zoram and Nephi’s story stands out. Zoram followed Nephi thinking Nephi was his boss, Laban. When Zoram discovered Nephi was not Laban and realized what that meant, he feared for his life. Nephi and his brothers also feared for theirs. However, when Nephi swore an oath to Zoram and then Zoram reciprocated, both sides felt secure. Can the Lord trust me as much because He’s that confident in the oath I make each week? Am I? “Willing, always remember and keep” are definitive words I don’t always live up to. But with through the Lord’s strength I can do all things. 1. A profound secret; something wholly unknown or something kept cautiously concealed, and therefore exciting curiosity or wonder. 2. In religion, any thing in the character or attributes of God, or in the economy of divine providence, which is not revealed to man. I love that sacrament derives from “mystery!” That implies that so much lies beneath the surface! The Lord promises that we can know His mysteries! The sacrificing Atonement of Jesus Christ certainly is beyond comprehension until explained. And even then, I need more explanation. But He invites us/me to come to Him, to learn of Him, and He delights to teach us. So what is the actual word’s definition? 4. 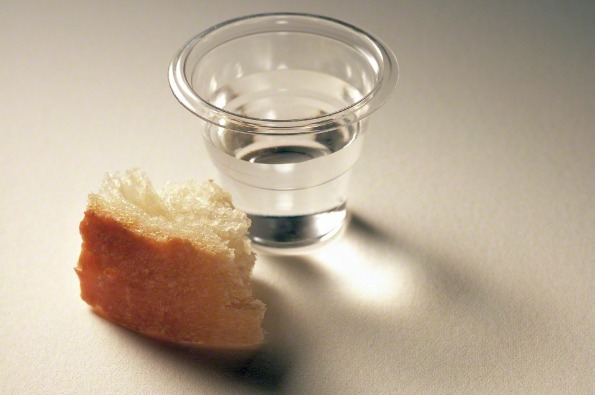 The eucharist or Lord’s supper. And the definition of Eucharist? 1. The sacrament of the Lord’s supper; the solemn act or ceremony of commemorating the death of our Redeemer, in the use of bread and wine, as emblems of his flesh and blood, accompanied with appropriate prayers and hymns. 2. The act of giving thanks. For Latter-day Saints, the weekly sacrament honors the Savior’s Atoning sacrifice and our personal baptismal covenants. Because Jesus Christ atoned for sin, death, and the Fall, we can make sacred oaths covenanting to seek the meanings of holy, sacred mysteries by keeping Christ’s commandments and always remembering Him.